BMW i3 “Become Electric” Immersive 360° Interactive Film. When BMW announced the i Series cars a couple of years back I was all ears. As a former BMW owner, I can attest to the quality and design of their automobiles, so the i3 had me intrigued. Just last week I was on the phone to the local dealer asking if they would have a preview model anytime soon, since the car will be available in California early next year. Sadly they said no. To support the launch of the i3 BMW has developed a very cool interactive campaign in the form of a fully immersive interactive film available for iOS and Android. “Become Electric,” is an interactive experience shot in fully immersive 360 degrees that leads you through a unique story that reveals the car over time. As you head through the streets of a foreign city in a race against time the participant picks up a mysterious stranger and engages in a thrilling mission. The goal is to outrun the sinister “Shadows” that are pursuing you and deliver “The Key” as you help the world “Become Electric.” The game is true immersive entertainment, while advertising and promoting the new i3. The promotion for the car and it’s features are cleverly disguised in an immersive game. Since BMW is launching the “i” series as a sub-brand I bet we see more of this kind of work from them in the future for the i3, and the i8 as well. Posted in Advertising, Android, iPad Apps, iPhone Apps and tagged Android, Become Electric, BMW, BMW i3, Google Play, iAd, Immersive Film, Interactive Advertising, Interactive Film, Interactive Gaming, iOS, iTune on October 30, 2013 by Author. Stichpunkt for BMW. The Sustainable Value Report. By and large when people think of BMW they don’t think of an automobile manufacturer that is known for sustainable, green solutions. Even with the introduction of the i3 due for 2014, clean diesel, and start/stop technology, most people think of BMW as the guys that make powerful sport sedans and SUV’s that get mediocre gas mileage. 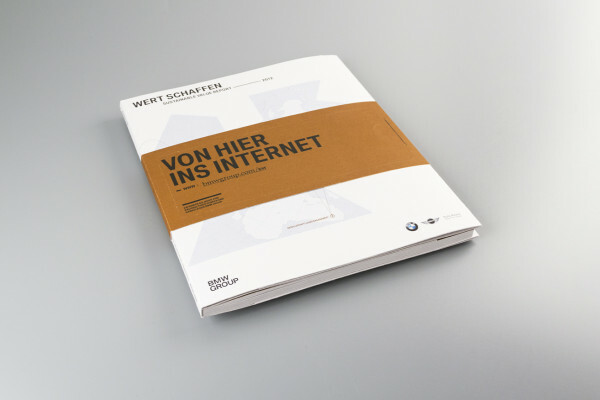 Strichpunkt was asked by BMW to design and develop the 2012 Sustainable Value Report for the German automotive manufacturer. The challenge; concept, design, and develop a report that integrates traditional print and responsive digital design, to communicate BMW’s values on sustainability. Strichpunkt was asked to create something that communicates BMW’s strategy, values and actions in a factual way that created an emotional experience for the target audience. And it needed to read well for both trade, and the public. Strichpunkt’s solution; a structured, easy to understand report that explains BMW’s strategy and actions in a series of selected case studies. The case studies were designed to provide the broad range of sustainability activities BMW is engaged in and explain with concrete examples how responsible business conduct works in practice – individual, high quality and playful implemented in vivid collages, illustrations, and striking infographics with high-tech appeal. The case studies were designed to provide the broad range of sustainability activities BMW is engaged in and explain with concrete examples how responsible business conduct works in practice – individual, high quality and playful implemented in vivid collages, illustrations, and striking infographics with high-tech appeal. Fact sheets, graphics, info sidebars, editorial that follows journalistic style guides gave the document a clear structure that makes the whole thing a quick and informative read. 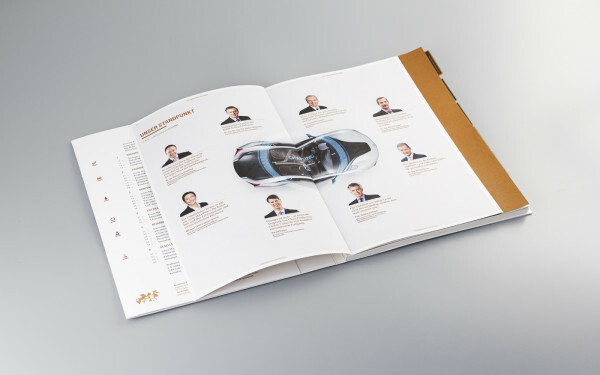 The focus and design, reflect a high-quality and ecologically produced printed report that shows the pioneering role of BMW and its subsidiary brands – particularly in terms of sustainability. The online report, was implemented as part of the corporate website which, expands and deepens the theme of sustainability. The result a scalable website that functions across all digital devices from computer to mobile featuring easy to use navigation, and rich informative media that is a genuinely sustainable approach to design. Posted in Automobiles, Innovation, Technology and tagged AUtomobile, BMW, BMW i3, BMW i8, Green Design, Responsive Design, Strichpunkt, Sustainability, Technology on June 4, 2013 by Author.